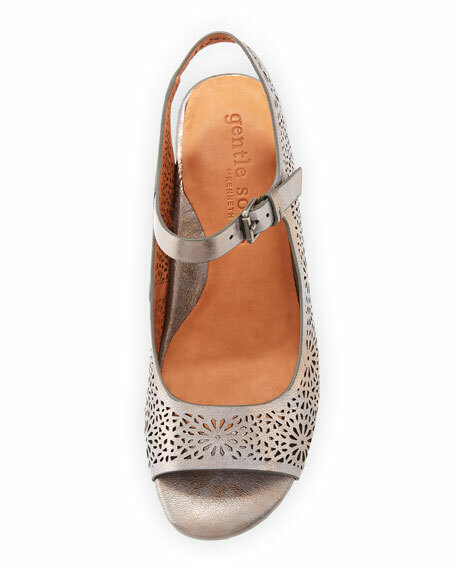 Gentle Souls pumps in metallic goatskin leather with perforated flower cutouts. PORON® technology for performance cushioning, memory foam, and arch support. 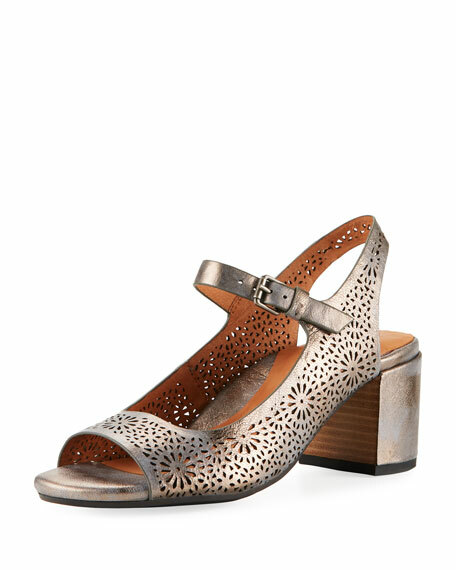 For in-store inquiries, use sku #2596921.